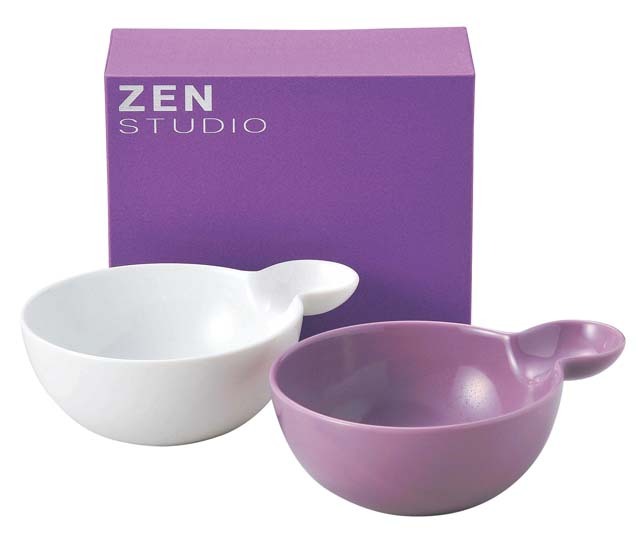 This is pair of china cereal bowls (purple and white each). Easy to pick up with the handle. Ideal item for a wedding gift, birthday gift, etc. Japanese modern design tableware.